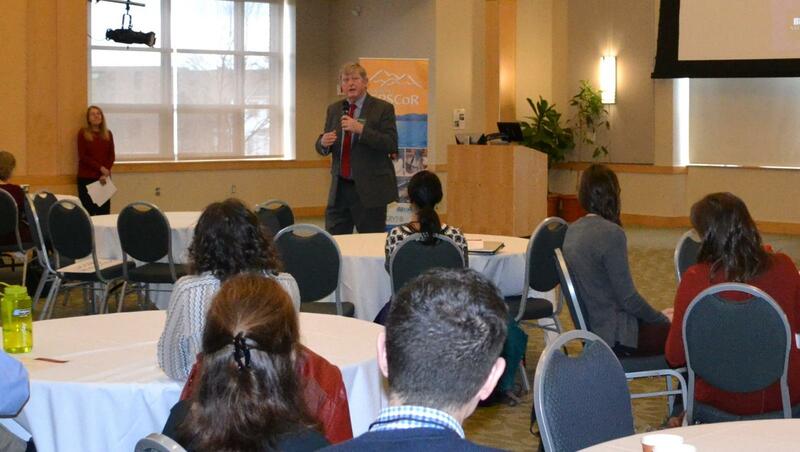 February 1-2, 2016 at UVM's Davis Center. 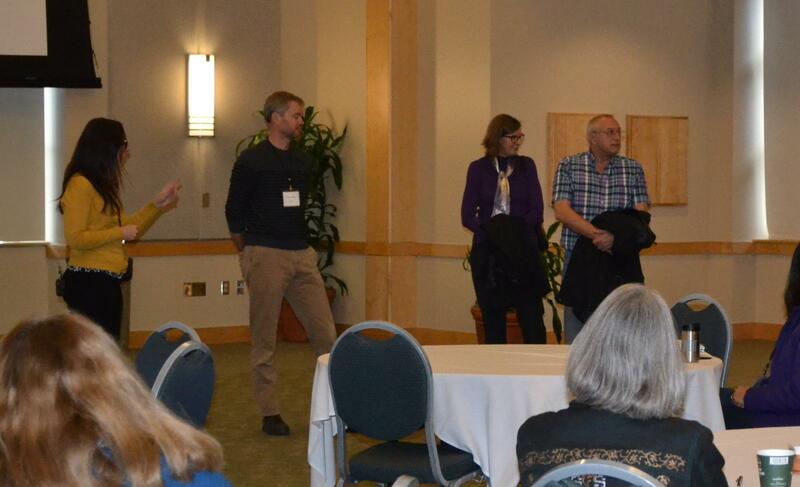 The second Alan Alda Workshop on Communicating Science was held at the University of Vermont on February 1st and 2nd, 2016. Twenty-five faculty, graduate students and post-doctoral associates from across the disciplines and various institutions in Vermont participated in the one and a half day interactive workshop. There were also two larger plenary sessions with about 75 attendees. Through improvisational methods and story-telling exercises developed by the Alda Center, the participants practiced and developed new techniques to help communicate sometimes highly technical research concepts to a wide audience including the broader public and non-experts outside their specific field of study. The workshop culminated with a session on video messaging allowing each participant to record a short video on an aspect of their research. Dr. Judith Van Houten Vermont State EPSCoR Director, also provided opening remarks and welcomed everyone on behalf of VT EPSCoR which partners with the Office for Research at UVM to help enable these efforts.